Hosting the Mountain Pacific Sports Federation Tournament for the first time this weekend, the No. 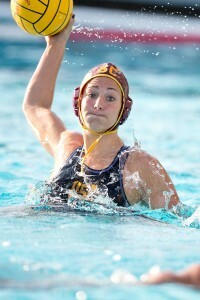 3 USC women’s water polo team had a lot to prove heading into next week’s NCAA Tournament. USC was coming off its lone home loss in the regular season finale against No. 2 UCLA, and the Women of Troy (24-3, 5-2) looked to regain control of their home at Uytengsu Aquatics Center and capture a second straight MPSF title. Unfortunately for the Cardinal and Gold, this pursuit was shut down early. Jumping into the pool Friday afternoon, USC faced off against a sixth-seeded Arizona State team that it had dominated throughout the year. USC had outscored the Sun Devils by a total of 25-10 in the previous two regular season victories, but offense was scarce in Friday’s first-round battle. After getting out to a 3-1 lead by the end of the first quarter, the Women of Troy were held scoreless in the second period and entered intermission trailing, 4-3. 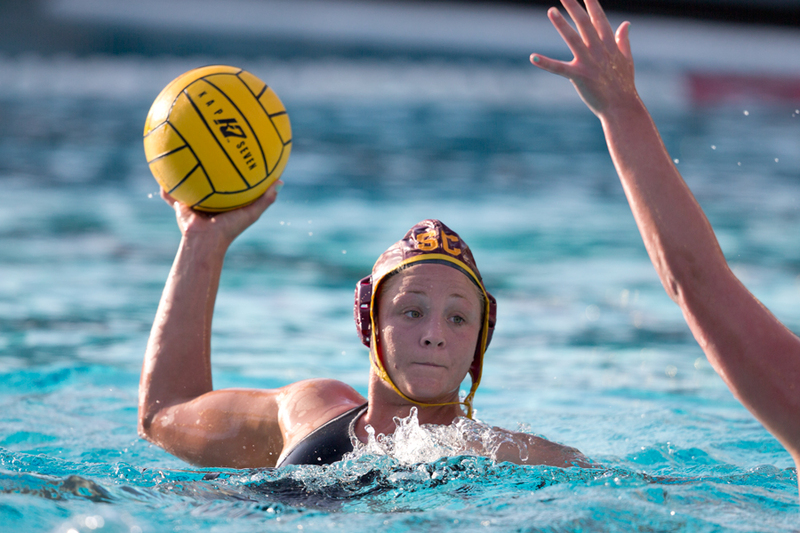 Though the offense was unable to produce much first-half success, the USC defense remained strong, anchored by senior goalie Flora Bolonyai. The Hungarian native tallied 12 saves for the day — four in the first half — passing Bernice Orwig as USC’s all-time saves leader. Following another ASU goal midway through the third quarter, which increased the lead to 5-3, the Women of Troy were finally able to gain momentum and end a 15-minute scoring drought. Vavic launched a bullet towards the cage, which tipped off the goaltender’s fingertips into the top corner. Sophomore two-meter Jayde Appel quickly followed with a pretty touch shot in transition to level the score at 5-5. After trading goals to begin the fourth quarter, ASU was able to convert on a 6-on-5 advantage to regain a one-goal lead with just over a minute to play. Calm and composed, the Women of Troy exhibited unselfish ball movement as time winded down until senior co-captain Kaleigh Gilchrist rose and propelled a scorcher to even the score with only two seconds remaining in regulation. Entering just the second overtime game of the season, USC once again struggled to find the back of the net. After surrendering a goal off of a deep shot attempt, the Cardinal and Gold surged down the pool and drew a 5-meter penalty shot. Junior two-meter Eike Daube’s attempt ricocheted off the post, ending the first half of the extra period trailing, 9-8. Daube, the hero of USC’s first overtime victory against UCLA earlier in the season, wasted no time making up for her penalty stroke, providing the lone goal of the extra time to force a sudden-death period. 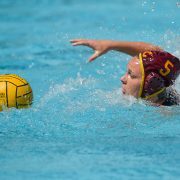 Following a turnover on a USC offensive position, an ASU attacker leaked out in transition to receive a deep outlet pass. Bolonyai left the cage in a race for the ball that found its way past the goaltender, providing ASU with an open-net goal to knock off the Women of Troy, 10-9. Forced into the consolation bracket with the surprising loss, USC regained its offensive power in Saturday’s contest against seventh-seeded CSU Bakersfield. In the 22-3 rout of the Roadrunners, nine different Women of Troy tallied goals, led by a career-high six goals from freshman driver Stephania Haralabidis and four from Appel, which also marked a career high. It took over 20 minutes for Bakersfield to make its presence known on the scoreboard, finally converting on a lob shot over Bolonyai. The saves leader recorded 12 stops in three periods of work before being replaced by sophomore goalie Alegra Hueso. 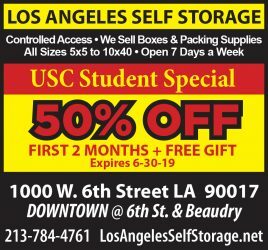 Earning a spot in the fifth-place game against San Jose State, USC would not let another victory slip through the cracks. The offensive outing displayed against Bakersfield carried over to Sunday’s battle from the beginning. Exploding out of the gates, the Women of Troy posted seven goals in the first quarter, with two apiece coming from Gilchrist and senior driver Kelly Mendoza. The second period was no different in regard to offensive dominance. With the help of Appel’s first-half hat trick, capped off by a savvy tipped-in goal from a lob pass by Vavic, the Women of Troy took an 11-5 lead into intermission. USC continued its dominance over the Spartans in the second half, fueled by Vavic’s stellar performance. Bursting out with a rocket that found the back of the cage just 40 seconds into the half, USC’s No. 7 all-time leader in scoring added on two more to propel the Women of Troy to a 21-9 victory. 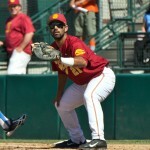 With the win, USC claimed a disappointing fifth place in the MPSF Tournament, which was won by No. 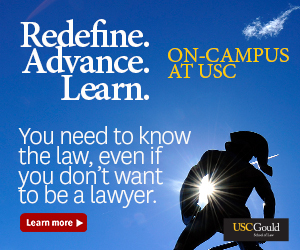 1 Stanford. Still, the team looks at its experience with some positivity. The defending national champions now await the NCAA bracket’s announcement this evening, when they will discover their next opponent. The Women of Troy will play host to the NCAA Tournament in two weeks, featuring the nation’s top 10 teams.